In 2011, Dialogue Interreligieux Monastique--Monastic Interreligious Dialogue (DIMMID) launched Dilatato Corde, an international, multilingual journal to record, reflect on, and examine interreligious dialogue at the level of spiritual experience.<br /><br />Dilatato Corde (literally, &quot;with an expanded heart&quot;) provides a medium for monastic men and women--as well as for spiritual seekers from different backgrounds and religious traditions--to share the ways interreligious dialogue has expanded their hearts. 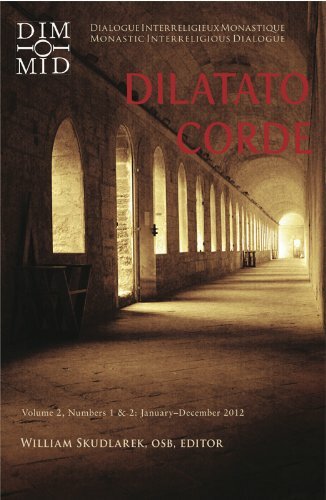 It also publishes scholarly, peer-reviewed articles on the philosophy, theology, and history of the dialogue of religious experience.<br /><br />Dilatato Corde is an online publication housed on the organization's website, www.dimmid.org. At the end of each year a selection of that volume's testimonies, reflections, reports, and studies are published as a book. This is the second of the series. <b>William Skudlarek</b> is a monk of Saint John's Abbey, Collegeville, Minnesota, and Secretary General of Monastic Interreligious Dialogue. In addition to having taught homiletics and liturgy at the School of Theology/Seminary of Saint John's University in Collegeville, he served as a priest associate of the Maryknoll Mission Society in Brazil. From 1994 to 2001 he was appointed to the monastery founded by Saint John's Abbey in Japan. He has recently been reappointed to that community, Trinity Benedictine Monastery in Fujimi (Nagano prefecture). In 2014 William was named a consultor of the Pontifical Council for Interreligious Dialogue.